Spire of Stars is a new raid lair in Destiny 2. It was added in the Warmind expansion, and it has just gone live. 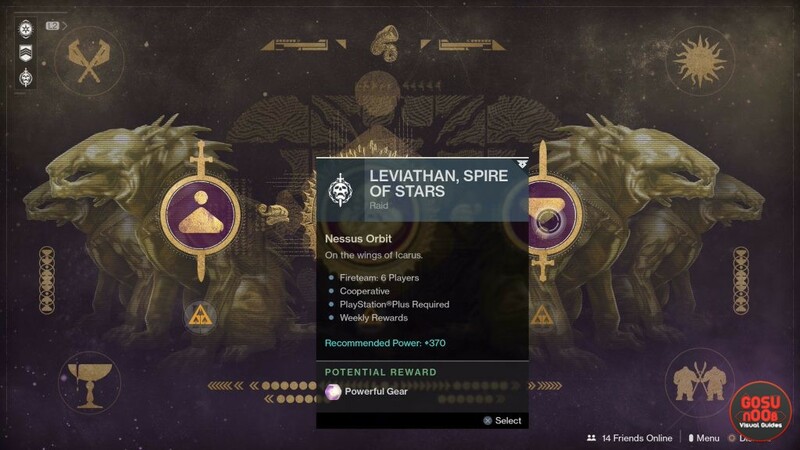 It takes place on the Leviathan, so it’s not an all-new thing, but there are new challenges to face, bosses to defeat, puzzles to solve and chests to find. If you’re having trouble with any part of it, we’re here to help, so just keep reading our Destiny 2 Leviathan, Spire of Stars raid lair guide. The recommended power level for the raid is 370. The most essential thing, as always, is having a coordinated team with good communication. The puzzles require a lot of back-and-forth. If you’re interested in the new weapons and armor, check out our Destiny 2 Spire of Stars raid lair rewards guide. Once you’re in the garden, go behind the central platform and take the orb from the purple pillar. Climb onto one of the pillars around the courtyard, the ones that look like hot air is coming out of them. You’ll get the Greed debuff and the orb will start glowing. Throw it at the purple flaming thing on the central platform. Have four guardians near the pillars with the hot air, and two on the ground. One of the grounded memebers should grab another orb, and throw it to the first pillar. A guardian needs to stand on the pillar while holding the orb, so the pillar rises. Then they jump off and throw the orb towards the second pillar. If they don’t jump off, they’ll get the Engulfed debuff, which will kill them. Repeat until the shield from the central platform is down, then throw the orb at it again. You’ll have to repeat this three times, and each time the arena will spawn stronger enemies. The two guardians on the ground should help whoever is closest to the high level enemies. Once you’re out of the conduit, you’ll have to go right into the control room and pull the first level. It will raise a bridge and start the giant fans. You’ll need to jump across the fan blades to the room with the second lever. You’ll need two guardians in the room to pull the second lever. There’s a chest between the second and third lever, on the third giant fan axle. Just keep jumping and climbing, and you’ll soon reach the third lever, which requires the presence of three guardians before you can pull it. After your reach the orange pillar, shoot the locks at the base and go into the light. You’ll arrive in an arena. Make note of the three symbols on the floor in front of the doors. Stand on the white circle platforms until they turn orange, and you’ll get an orb. An orange elevator leading up will appear. A guardian with the Superior Retainer buff has to go into space and call out the signs they see. The rest have to stand on the plate with the symbol for around 10 seconds for the doors to open, then stay on them to keep them open. One guardian has to take the orb, power it up in the hot air stream above the door to get Greed, then throw it into the door with the symbol that was in space. Stand on the white platforms to activate the elevator, and have a Superior Retainer grab the orb, power it up with Greed, go up into space and throw it at the ship. You’ll have to deal with increasingly powerful adds as you progress, so stay on your toes. You’ll need to destroy three ships to complete this part. Once you’ve downed three ships, Val Ca’uor himself will show up. He’ll stand behind the orange elevator and shoot at you, hidden behind a shield. Kill adds until he performs an AOE attack. Everyone will get Engulfed. Use the Greed-powered orb to cleanse yourselves quickly. Wait for the pods to show up on the white platforms, then repeat what you did in the previous trial. Send a Superior Retainer into space, listen to them call out the signs, then use the two orbs to shoot what’s behind the appropriate doors. Send the retainer back to space to shoot a ship with the Greed-powered orb. Once you’ve downed the ships, Calus will appear behind Val. Grab the orbs and run through the hot air to get Greed. 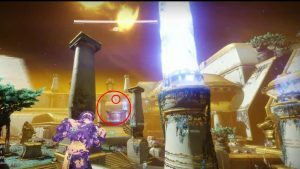 Wait for Calus’ hand to start shining brightly, then throw the orbs at it. He’ll smash them into Val’s head, disabling the shield. This is when you’re supposed to do damage to the boss.